Instructor-led groups: join a regularly scheduled group or coordinate your own group of 3 to 6 people in our group equipment classes or 8 to 12 people in our group matwork classes. Yoga: In Sanskrit yoga means “union”. Some can relate it to mind, body and soul. Along with being a practice of physical poses and postures, it is also mental and spiritual. Yoga strengthens muscles and increases flexibility. Bridal Bootcamp: An enjoyable way for a bridal group to get together and feel good about themselves, as well as sharing a special moment together. Bridal bootcamp can be catered to what the bride-to-be would like. 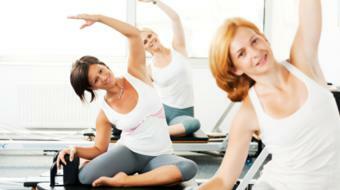 Any combination of spinning, Pilates, aerobics, and strength training can be included in the work-out. Packages can be arranged by phone call. Sports Teams: As part of athletic development cross-training is a key factor. Arrange sessions as a team in any of the above offered classes. Pre-Natal: Exercise can offer many benefits to pregnant women. Upon request pre-natal classes can be arranged with one of our trained specialists. 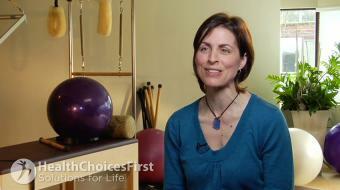 Please view the link on Pregnancy and Pilates for more information. Are you a health practitioner that works at Bambu Pilates? Sign up with Health Choices First.